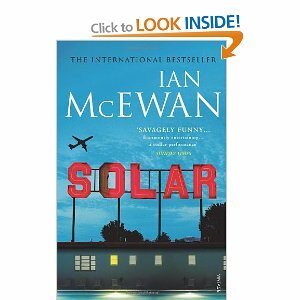 Having become used to Ian McEwan’s economic, beautiful, yet serious and lyrical prose, Solar seems to be something of a new departure. This is still unmistakeably McEwan with his cast of flawed, English middle-class characters, but this is also a openly humorous campus novel. There is something redolent of David Lodge in this. Solar tells the story of Michael Beard, a self-indulgent, self-obsessed science professor and a serial faithless monogamist. The extent and success of his sexual exploits are rather puzzling given that Beard is so thoroughly dislikable, but it is also what makes his gradual and inevitable downfall so funny. And yet this is a narrative about climate change and what Beard ultimately finds is that his uncritical belief in something called ‘the scientific truth’ has become obsolete, as more scientists come to realise that we will only tackle climate change through behavioural change – a problem caused by human behaviour can only be solved by human behaviour – and people’s behaviour is governed by the stories we tell each other, not by complex scientific data. For what is at one level a comic campus novel, Solar has a much more philosophical contribution to make. I may not have written anything on the blog for a few months, but the reading has continued nonetheless. So, now I’m going to try and do a bit of catching up. I won’t have time to write very much on everything I’ve read recently, so some of these ‘reviews’ will be very short, but I’ll try and get back on track as soon as I can. We seem to have been waiting a long time for the next Wallander novel, but it has finally arrived in English translation and I devoured it the moment it arrived. It is also a book to be savoured, as it is the final Wallander book – there will not be any more. For a long time Henning Mankell resisted writing more Wallander novels, saying that he was too distraught following the suicide of Johanna Sallstrom, the young actress who played the role of Linda Wallanader, Kurt Wallander’s daughter, in the Swedish television adaptations. Finally Mankell returned for one final Wallander novel to bring closure to one of the most remarkable series of detective novels in recent years. The first Wallander novel was published in Sweden in 1991 and first appeared in English translation six years later. 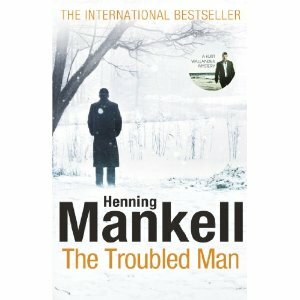 In The Troubled Man the usual Wallander themes are evident and the detective is his usual miserable, alcoholic, workaholic and socially dysfunctional self, struggling as much with his personal relationships as with the challenges of the current case. The story revolves around a retired naval officer and future father-in-law of Linda Wallander, who, seemingly preoccupied, disappears one day whilst on a walk. The ensuing investigation inevitably reveals a more complex web of intrigue and scandal. Ostensibly, the missing officer is ‘the troubled man’ of the title, but it is equally clear that Wallander is also a troubled man and, given the background to the writing of the book, it could be said that Mankell himself is also the troubled man. As with all the Wallander books, this is a fast-paced quick read. I don’t want to give anything away, but I found the ending particularly fitting and poignant. Whilst some may be disappointed by the anti-climatic finish to Wallander’s career, I found his destiny to be particularly appropriate for the melancholic sociophobe, drawn increasingly into himself, that he is. A brave way to end such a fabulous series of books. Now I shall have to start all over again at the beginning with Faceless Killers. If you are not a great lover of the short story form (and I’m not, really), then you absolutely have to make an exception for H P Lovecraft. Lovecraft (1890-1937) is the natural inheritor of the American horror tradition from Poe and arguably provides the link between Poe and more modern writers of the horror genre such as Stephen King (who acknowledges his indebtedness to Lovecraft). But Lovecraft is made for the short story with his poetic, even flowery, use of language (somewhat redolent of M R James in a way) that harks back to the nineteenth century, but looks forward to the twentieth. Where Lovecraft departs from the earlier Romantic and Gothic traditions is that horror lies, for him, much more in the real and everyday, rather than in the spiritual and unknown, yet he avoids the more contemporary prediliction for what King calls the ‘gross-out’. The Colour Out Of Space (has the title been anglicised, I wonder?) 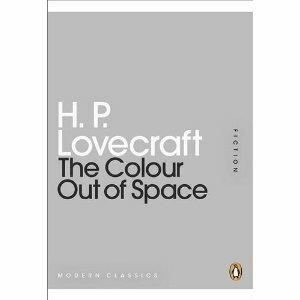 is a collection of three stories, published by Penguin as a mini-modern classic and, if you haven’t read Lovecraft before, then this is as good a way to start as any. The story after which the title of the volume takes its name is the most interesting. A meteor ploughs into a field in a remote rural location and the wonderful luminescent colour it emits is a kind of poison that slowly infects and rots all living things in the immediate vicinity. The fact that is a poison that is formless and can’t be seen, felt or smelt makes it all the more terrifying. The story was written in the 1930s, but the fact that I was reading about it whilst hearing the worrying news from the Fukishima nuclear power station in northern Japan, made the story all the more relevant. It is a beautifully written and controlled story that is well worth an hour of your time. 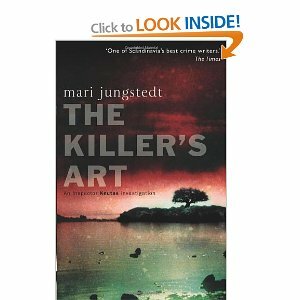 The Killer’s Art bring us up to date with Mari Jungstedt’s Inspector Knutas novels that are available in English. As the title suggests the setting for the novel is the world of modern art – at least, the commercial world of modern art (the private galleries, collectors, investors and the trade in stolen art), rather than the concerns of the artists themselves. As with the earlier novels, the story is set on Gotland and, at least in part, explores the tension between Stockholm, the capital, and the provinces. 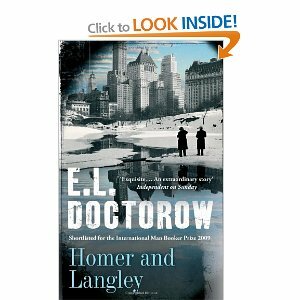 It is a tension that is best exemplified by the character of the reporter, Johan Berg, who is constantly torn by his responsibilities to his Stockholm-based employers and his responsibilities to his Gotland-based partner and young daughter. It is also a tension that Jungstedt uses well to address the central problem that faces her as a writer – how do you write a novel that is set in the world of modern art, that is inarguably metropolitan in its focus, and which is also set on a provincial island known for a sense of remoteness for the modern centre? It seems that Jungstedt’s writing becomes more confident with each novel and The Killer’s Art is her most accomplished to date. Nevertheless, there are moments of clunkiness in the plot that aren’t well explained and the occasional passages that are rather derivative. Also the very notion of setting a crime novel within a particular and closely-defined sub-world (in this case that of the art world) feels a bit ‘old hat’. As such the novel, as with her other ones, lacks some of the edginess and bleakness of other Scandanavian crime writers such as Nesbo, Mankell and Fossum. Nevertheless, it is still a good read – perfect for a night in!